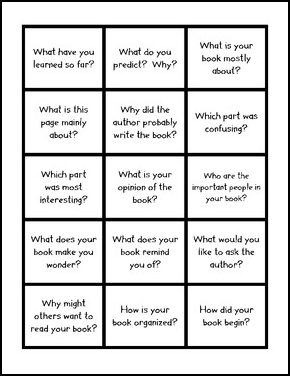 I made these little cards to help keep my "buddies" engaged in meaningful conversations while partner reading. 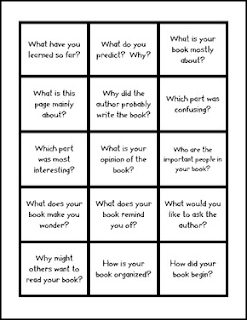 I copied mine front to back on colored cardstock, laminated, chopped, hole-punched in the corner, and made little rings of questions that buddies can easily grab. Partner A reads a page while B listens and follows along. Partner B asks A a question from the ring. Partner B reads a page while A listens. Partner A asks B a question from the ring. It seems to help both partners stay on task even if the other one is reading.